If you want to get some winter miles in after work, hop off-road in the evening or simply burn bright in the urban jungle, this is what you need. Most of us have used a bog-standard front light at some point to ensure that we’re seen in the dark, but what happens when you want to step things up a notch? Here’s where high-powered front lights enter the equation. When you start looking at a higher price bracket and factoring in rechargeable battery packs you enter a world of illumination that contrasts starkly with your average AA-powered accessory. 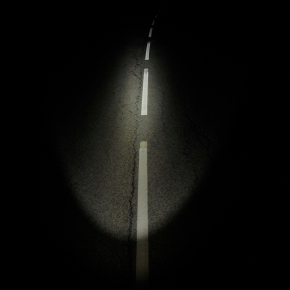 High-powered options are different to your budget commuting light in that they not only act to keep you safe and seen in traffic but they allow you to see the road ahead, however dark the scenario. 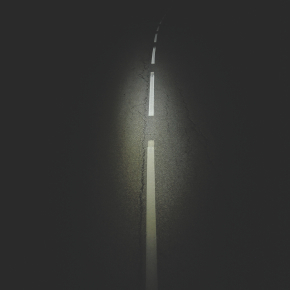 Drivers suddenly have to contend with a light that’s more akin to a headlamp, and you get a floodlit path ahead. The world of lighting can seem a little overwhelming at first; beam pattern, burn time, battery options and charge times can all boggle the mind but it needn’t be complicated if you know what you’re looking for. 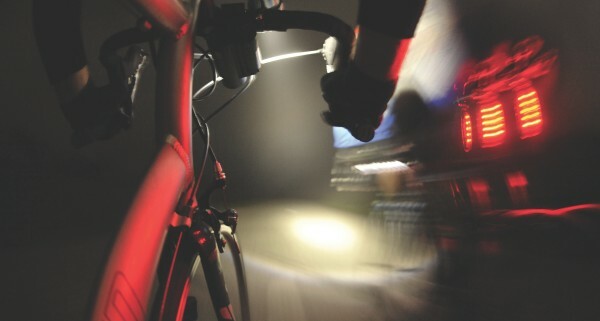 Expressing the “brightness” of a bike light is notoriously complicated but made simpler recently by the near-universal adoption of the Lumen as the comparison unit of choice now that Light Emitting Diodes (LEDs) are standard. However, you should watch out that 700 lumens is a great deal of light when focused on a spot down the road, not so much when the manufacturer has chosen to spread the focus, which is why beam pattern is just as important. As you will see below beam patterns vary between different designs of front lights. You need to consider what works for you in terms of your riding and your budget. Some will throw light quite far down the path ahead but lose some peripheral vision, while others have a very concentrated bright area that doesn’t stretch so far. 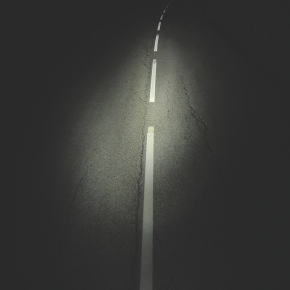 Most will have an alternate setting so that you can dip the beam to avoid blinding oncoming traffic should you wish. Again it’s good to consider your individual needs. Burn time refers to the number of hours you can use the light for before it needs recharging. If you’re going to rely on it for a significantly long period it’s worth checking the burn time is suitable. That said, they generally have plenty of hours in the bank. You don’t really want to invest a fortune in a light that is cumbersome and takes up your time putting it on and off the bike. When you’re commuting home from work in the evening an ideal light will have a simple recharge process and brackets that fit on the bike conveniently. A smart-charge option is ideal so you don’t run the risk of overcharging. This was a lot cheaper than the rest of the lights we put to the test and with that in mind was pretty impressive. The Electron provided enough light that we felt confident we’d let people know we were coming and it was satisfactory enough in the pitch black that we wouldn’t be stumbling in the dark. The beam was significantly smaller than the more expensive options but we still felt we had enough illumination to avoid potholes and plucky squirrels. One of the benefits of the Terra 1 was the 120-lumen light output, teamed with its long burn times. The light runs for up to 40 hours on low, 10 hours on high and 70 hours on flashing. The built-in smart charge and protection circuit means you can leave the battery on charge overnight without stressing, and a low battery indicator lets you know it’s time to recharge. Enhanced side lighting is great for added safety. With a hefty 1,200 lumens all coming from a relatively tiny package the Four4th really does do the job. It gets full marks for ease of use and has great adjustability along with good burn times, ranging from a decent 2.75 hours on max to 10 hours on low, while the flash mode will keep you going for a while. This is a great option for all-round riding when daylight is scarce, and we felt confident that the beam pattern allowed us to pick up speed without hesitation. The 15-minute low-power ‘get you home’ mode is a very handy feature to have if you’re caught out but you’d better be a time triallist if you want to make the cut. The battery also has an automatic cut-out to avoid overcharging. You’re getting a lot for your money here and a product that will perform and offer reliability over time. We were a little disappointed with the beam pattern from the Hope, which we’d expected big things of. The twin lamps did shed 480 lumens on max and had some great features, including a compact design, but somehow failed to impress when it came to sheer output. Two high-power LEDs fit easily onto the handlebar with a universal mount, with additional accessories to convert into helmet light or head lamp — you’re offered a wide range of applications for one product. The switch is large and easy to find, even in the dark, and doesn’t require too much pressure. Cycling through different outputs is straightforward and quick, though you have to go through the whole cycle in order, which can be frustrating if you miss the option you wanted. The burn times are good, particularly if you use low or medium in lit areas, offering 30 hours-plus on the lower setting and two hours on high. The Stella 120 is the most affordable package from the Light and Motion range with more powerful options available for more money. We were impressed with what we got for our money from this durable little LED light set and while it wasn’t the brightest of the test, packed a punch for its relatively small size. With machined fins for maximum cooling you have peace of mind that the light isn’t going to overheat and things were very user friendly to get going. The Ni-MH trickle charger requires 10 hours to replenish but you can leave it on charge overnight as it will switch itself off when it’s fully topped up. The universal, tool-free bar mount is easy to pop on and the burn times were more than adequate, running on high for 2.5 hours, medium (60 lumens) for five hours and low (30 lumens) for 10 hours. The flashing setting will keep you going for 24 hours should you wish. The light weighs in at 191 grams. Two important safety devices make this light well-suited to regular commuters. 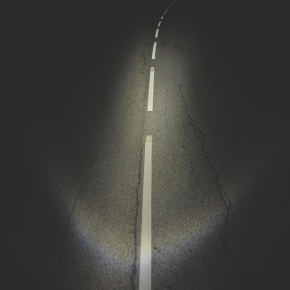 An eyelid helps to prevent glare to other road users including yourself while a glow ring helps you to be seen from the side. Useful for when you pass a left-hand side road or need to turn right; points where cyclists are particularly vulnerable. A tight beam pattern allows you to see a long way down the road, essential for when you are travelling fast. A basic quick-release bracket fixes your light to your handlebar and Velcro straps secure the battery. If you are running an oversize bar you need to extend the bracket with a link. This is a bit fiddly. Learning how to use the various switching patterns will allow you to flick between the highest and lowest outputs from 850 to 150 lumens without having to move through the entire cycle. With the power of 700 lumens the Tesla 5 provided a great amount of light and we really couldn’t fault the beam, which gave us complete confidence to see down the road ahead. 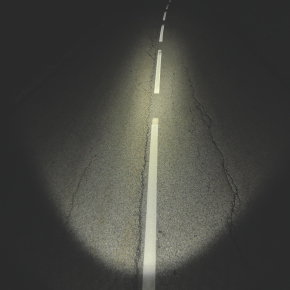 What impressed us most was the clarity of the light in addition to the length and width, which gives good peripheral vision so you keep your bearings in the dark, plus aiding safety in traffic. The Tesla 5 comes complete with a helmet mount, which is a handy feature, and the whole recharge process was nice and simple, as was changing the settings and adjusting the angle of the light. You can easily reposition the light so that you’re not getting an upward glare or blinding oncomers. The Li-Ion battery will give you three hours run time on the high setting and a maximum of 24 hours when used on low. We were hugely impressed, not only with the power of the Strada beam, with its ability to floodlight any path, but also with the user-friendly package. There was no cumbersome battery pack and considering the unit was entirely self-contained, this was a very compact design. We liked the added features such as the remote beam changer and charging couldn’t have been easier. You can leave the bracket on the bike so that you’re able to charge without removing everything each time. The remote thumb accessory allows you to switch between the high beam and a dipped beam so as not to blind oncoming cyclists or drivers. You also benefit from a fuel gauge and mode indicator. The cable-free design provides 600 lumens of output and will run for three hours on full and 10 hours on ‘dip’. The whole package weighs in at 228g with the easy-to-use quick-release bracket. We’re sold on this.